Olio Capitale is leaving the venue of Trieste’s Stazione Marittima, taking extra-virgin olive oils and publicity initiatives to restaurants as well. 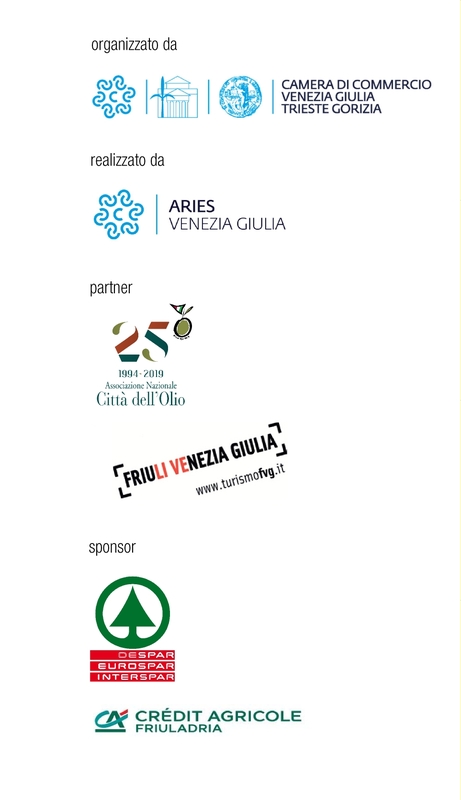 Following the success of the first edition, “Dinner with the Oleologist” is back – the series of evenings dedicated to extra-virgin oil created in collaboration with the Associazione Nazionale Città dell’Olio. After the approach stages in restaurants in Portogruaro, Treviso and Pordenone, from 26 February to 6 March, the restaurants of Trieste will also offer themed aperitifs, menus and olive oil menus with local dishes enhanced using the Fair’s regional olive oil stars.